March was a month of BlackBerry, more BlackBerry, Android, and more Android. 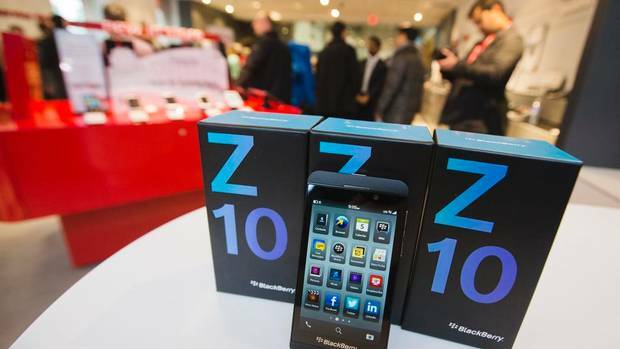 On March 13th, about two weeks following the launch of BlackBerry 10, BlackBerry announced the largest single order of its devices in the history of the company: 1 million BlackBerry 10 devices. The purchaser is Miami-based electronics distributor Brightstar. This significant achievement means the world to BlackBerry (no pun intended) and helps to establish confidence in those consumers afraid to make the switch. As of March 21st, the BlackBerry 10 platform had more than 100,000 mobile apps in the BlackBerry World. With 30,000 more apps than a month ago, it’s fairly evident that BlackBerry 10 has been well received by many mobile developers – and only 20 percent of these 100,000 apps were ported from Android! Just a couple weeks ago, Google pulled all ad-blocking apps from the Google Play Store. In recent months, mobile apps like AdBlock Plus started showing up on the store. This alarmed developers, advertisers, organizations considering ads in their apps, and Google itself, because ads are a reliable source of revenue on Android. Google stated that these ad-blocking apps violated the Developer Distribution Agreement. More recently, AdBlock Plus has released another Android app that has to be side-loaded (i.e. downloaded from a website rather than the Google Play Store). Thus, it’s harder to find the app, but the concern is not eliminated. For hardware, Samsung and HTC have released their latest Android-powered flagship smartphones, the Samsung Galaxy S4 and the HTC One. Just like any other recent smartphone release, people are arguing whether these phones are innovative or not. Nonetheless, these two smartphones are awesome. Make sure to tune in next month for more mobile news!